I can remember my mother often saying to me, “You can sell the Brooklyn Bridge and not even own it!” As a young child not even knowing where Brooklyn was I didn’t totally understand her comment but she said it with such conviction and so often that I believed her. (As my friend Les Brown would often say, sometimes you have to borrow someone else’s belief until yours kicks in.) 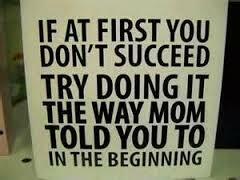 Mama would further say, “…so stand tall, head up, shoulders back, put a smile on your face and go sell that bridge! !” I would obediently take that physical posture along with her faith and found myself doing some really incredible things. The success I met fed my belief and a wonderful cycle of significant achievements in my life began. Today whenever my confidence may be challenged I remember her directive of taking a power stance (my words, not hers) and reconnect with her belief in me and mine in God, and I quickly shift anxiety to excitement. This week in our mastermind group our fearless leader, Mark Januszewski (Mark J) shared his experience with using his body posture to bolster his confidence whenever desired. 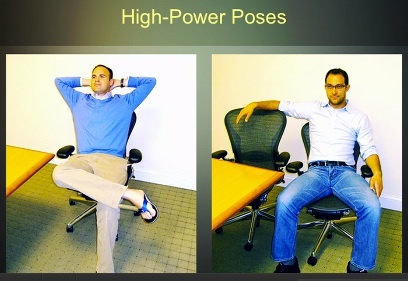 He would intentionally raise his testosterone level and reduce his cortisol level via body positioning right before major presentations or other important people engagements. Yes, our body positioning can and does impact not only how others see us but how we see ourselves. It really is a simple and wonderful fact–one that can totally shift outcomes for you. 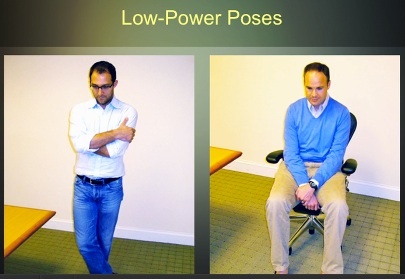 So here is your mission, should you decide to accept it, check out the high and low power poses below and then practice high-power poses for two or more minutes a day especially before any important meetings or events to experience this amazing power. 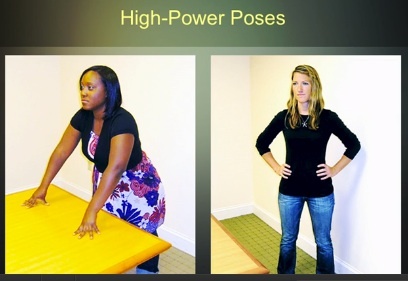 Mark shared with us a video of Amy Cuddy doing a TED talk (Your Body Language Shapes Who You Are) back in June 2012 discussing various experiments she and her team facilitated to support this concept. (Click on the link below to see it yourself–it is well worth your time.) This research confirms what my mama (and perhaps your mama) used to say decades ago. Indeed Mama’s wisdom was confirmed! What a beautiful reflection and personalizing of this concept. In fact, I was already onto other subjects and really enjoyed the reminder of this very potent subject – thank you Celeste! Yes, our mothers really did have our best in mind 🙂 Aloha! My mom is amazing indeed. Thanks for your comment. Thanks for your response Willena. Sorry to hear of your loss…I can only imagine what you have / are feeling. It is a joy indeed to have those memories in either context. Wisdom is something I pray to God for often. And for you I pray…Father God, thank you for the relationship that Willena has had with her mom over the years. Thank you for the wonderful memories she has and for your amazing faithfulness. Please assure her that you are always with her and will provide all the comfort and peace needed to make it through the coming weeks and years. In Jesus’ name I pray (I don’t know what you believe and I trust this prayer won’t offend you but will rather bring you a feeling of being cared for…). 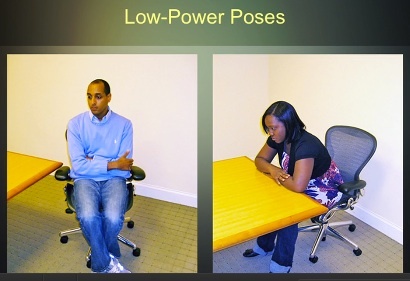 I love the power poses. I can feel the energy kick into high right away. Awesome! Glad you enjoyed them Rick. Keep your energy up! !